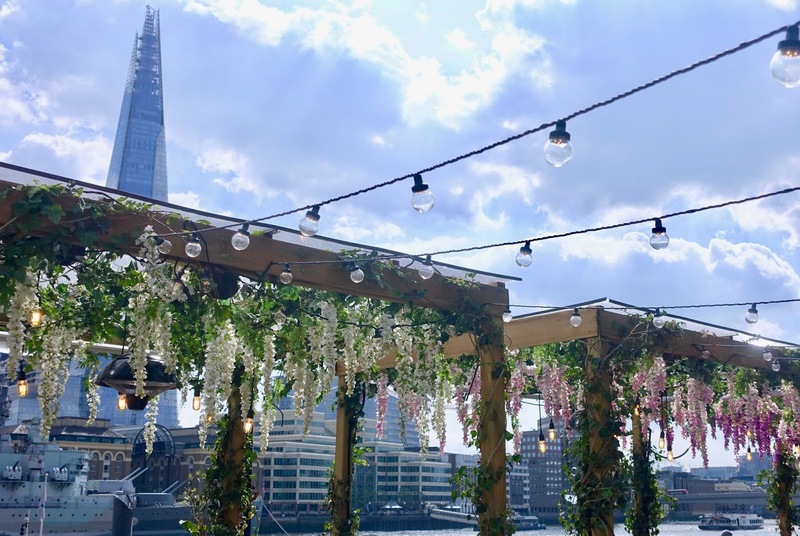 It's smack bang by the river so you got views of Tower Bridge and The Shard. 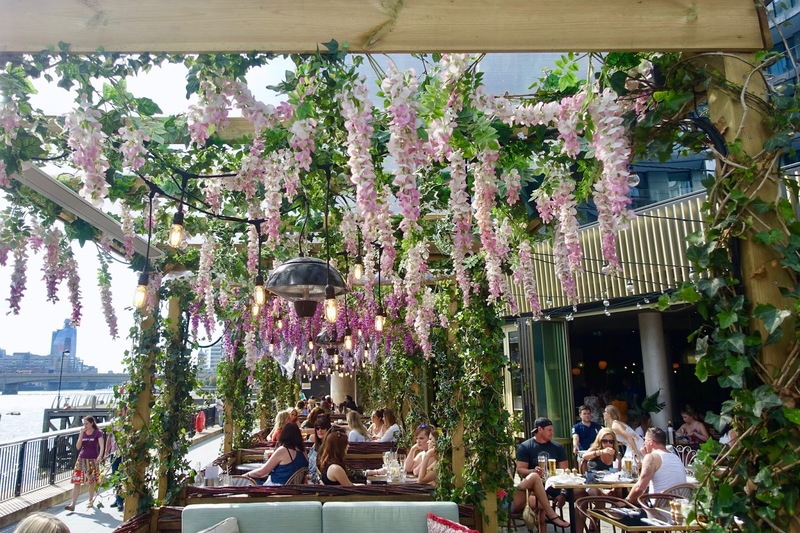 The raised terrace has cosy seating areas complete with pretty wisteria, an outdoor bar and smaller tables for diners. 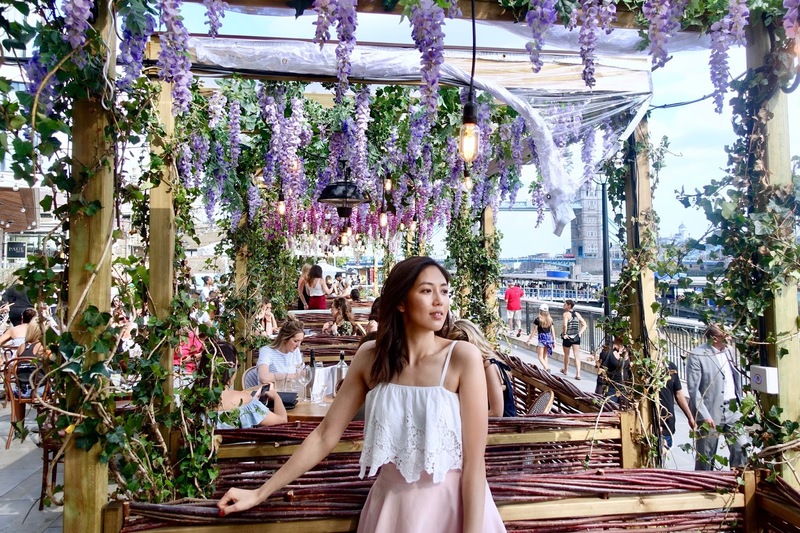 It's a fab place to soak up the sun, have a cocktail or two and eat alfresco style. Doesn't it look pretty? If outdoor dining is not your thing, the inside area is really spacious with another bar and plenty of tables for you to eat and enjoy. It was super busy and if you're a large group I would recommend reserving in advance, especially if you want to sit in the canopy area. There was a short wait but we got a table outside. 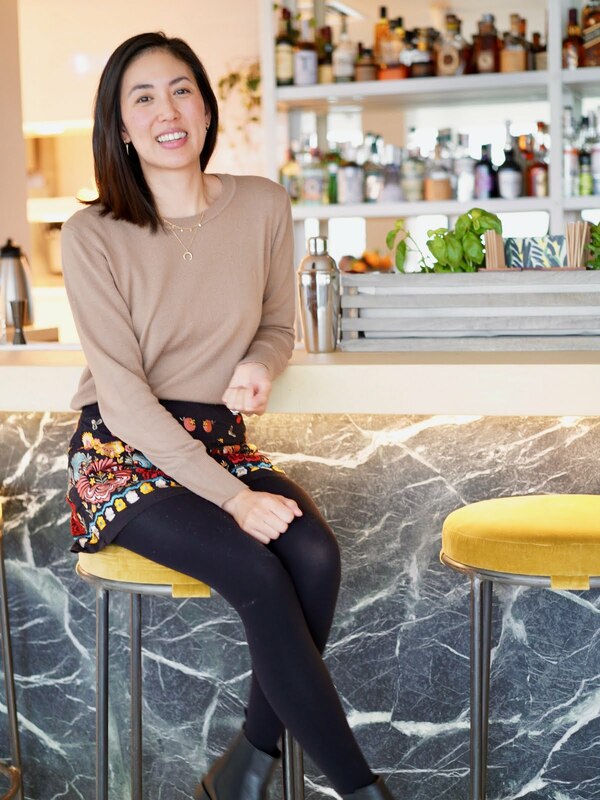 The atmosphere is lively but also chilled and relaxed and not pretentious. I can imagine this place is nice as night as well with the lights switched on and the London skyline in the background. The decor is modern with the brass accents and the tableware a pretty Mediterranean style. In the Winter it's a totally different vibe with igloos, which you can sit inside how cool is that! The menu has a mix of dishes from classic British dishes, pizzas, salads and small tapas style plates. Hang and I didn't fancy drinking alcohol so opted for some refreshing lemonade. We chose the seared prawns (£6.95) for starters and for mains the bolognese (£9.95) and linguine seafood (£13.45). 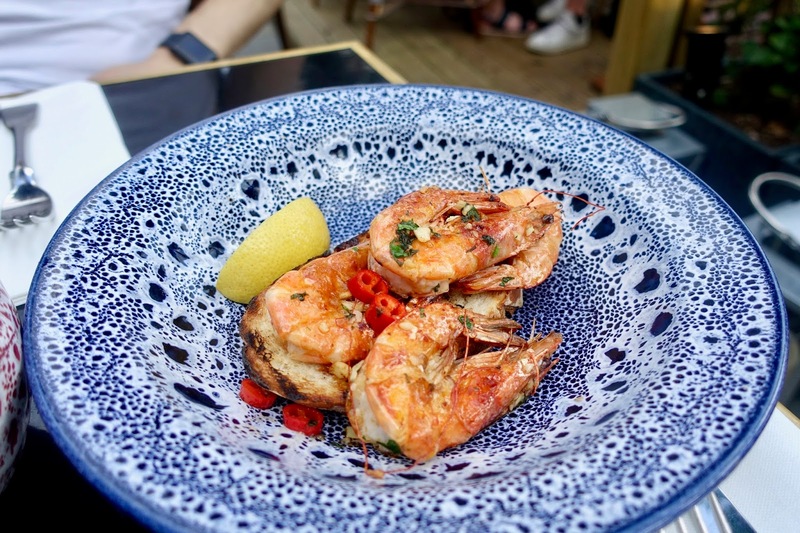 The prawns were tasty with a spicy kick and the toasted bread was nicely​ soaked in the garlic and olive oil. 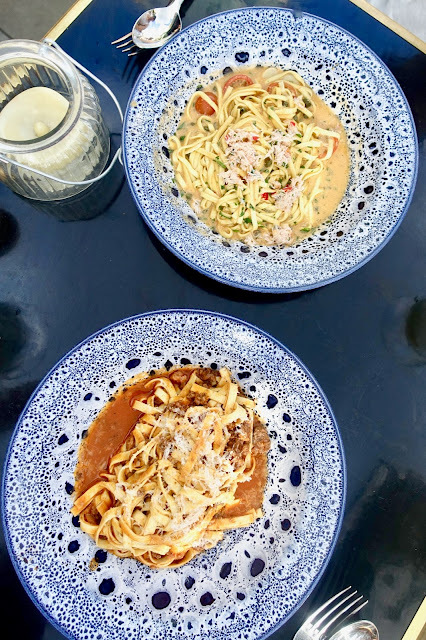 The pasta dishes unfortunately were not as good, lacking any distinct flavour and too salty, which is such a shame as they're simple dishes. However this hasn't deterred me to re visit as there still loads of other dishes to try. Hopefully they will be better and this place isn't just style over substance! 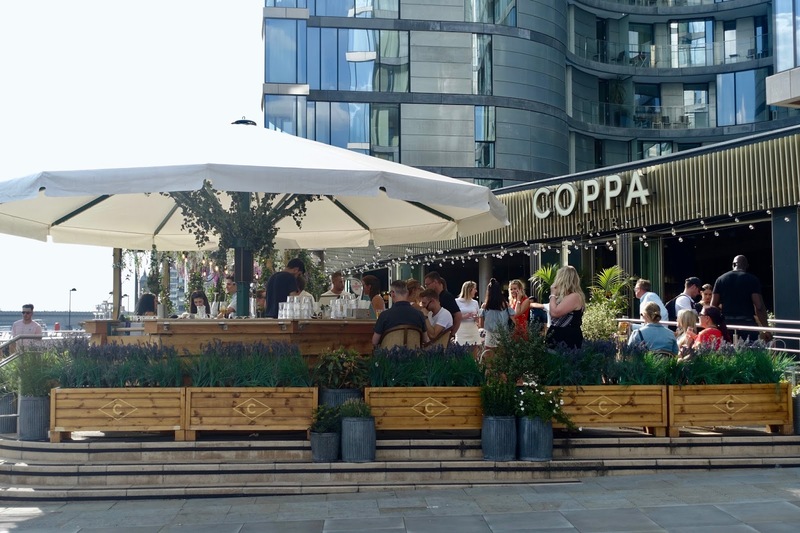 Coppa club has 3 locations in London - Oxford Street, St Paul's and Tower Bridge. 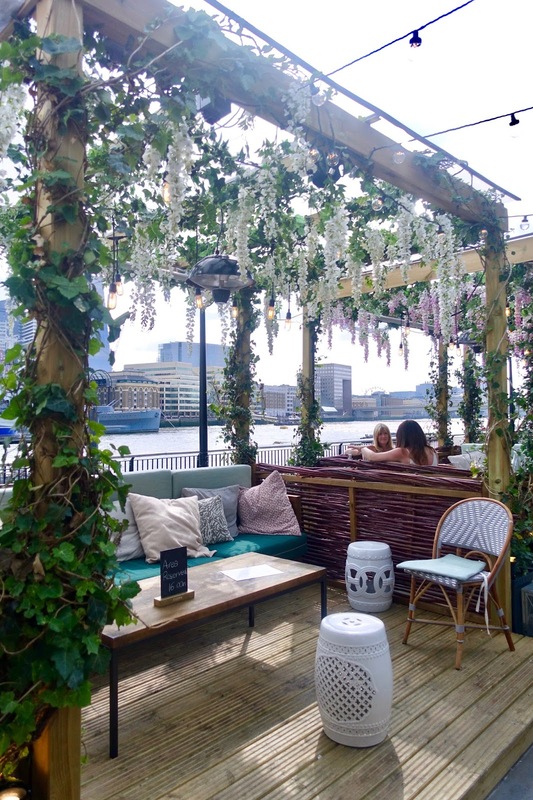 This is a fab place for after work drinks, get-togethers with friends and chilled weekend dates. The staff were very friendly and personable even though it was busy and the service was prompt. The food may have been sub par but I would still recommend it for the atmosphere and location. 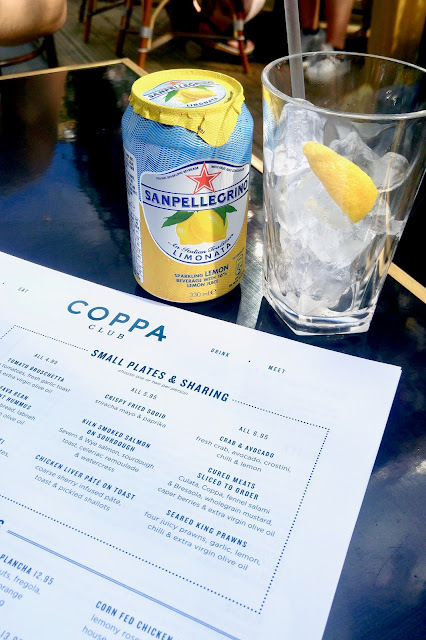 What do you think of Coppa Club? Let me know what you guys got up to this weekend, did you have fun in the sun? 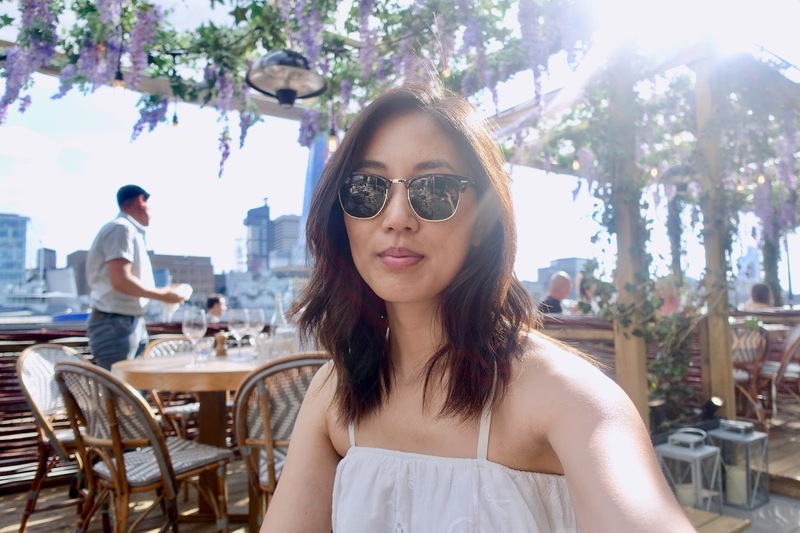 Where are your favourite outdoor dining places?